ARPN has launched a new online international research journal "ARPN Journal of Earth Sciences" since October 2012. This journal covers almost all disciplines of engineering, technology and sciences related to Geology, Mining Engineering, Geo Physics, Geo Science, Geography etc. Researchers and students of M.S., M.Phil and Ph.D are requested to send their original research articles to ARPN. ARPN requires Editors and Associate Editors for this Journal also. 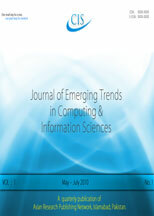 ARPN is publishing an online international research journal "Journal of Engineering and Applied Sciences". This journal covers almost all disciplines of engineering and applied sciences. Researchers and students of M.S., M.Phil and Ph.D are requested to send their original research articles to ARPN. All articles after approval from reviewers shall be published on the Internet. ARPN is publishing an online international research journal "Journal of Agricultural and Biological Science". Researchers and students of M.S., M.Phil and Ph.D are requested to send their original research articles to ARPN. All articles after approval from reviewers shall be published on the Internet. The new Issue of the online international research journal "Journal of Agricultural and Biological Science" is now available on the Internet. The new Issue of the online international research journal "Journal of Engineering and Applied Sciences" is now available on the Internet. The new Issue of the online international research journal "Journal of Earth Sciences" is now available on the Internet. ARPN Journals are also available via libraries of EBSCO Publishing, 10 Estes Street, P.O. Box 682, Ipswich, MA 01938, USA.